Aaron Abel started his journey into 3d graphics and animation at Front Range Community College in the very first run of the Multimedia Certificate program. From there here he went on to earn his BFA in 3D Animation from the Academy of Art in San Francisco. Over the years he has continued his education in fine art and concept art atelier settings. Aaron began his professional career in the fashion industry doing 3D scanning, modeling, shaders and cloth simulation in NYC. He later worked for Sony Computer Entertainment in several departments and discplines including game cinemantics for the Lair and Killzone franchises, game art for a variety of 1st party Playstation titles, and R&D. He has freelanced, doing models for 3D printing with IPs such as the Grinch, Bumble and Hershey. He has experience with online marketplaces doing weapon models, clothing and motion capture of Hollywood stunt talent performing high end game animation fight clips. Aaron enjoys staying on the cusp of new technology and techniques in the 3D, VR and games industries and brought this experience to his students at Irvine Valley College teaching several courses in Game Design and Unity, where he lead his students to sweep the finals of the 2017 GameSig competition. In his spare time, he is currently working on a visual novel with a local award winning author. 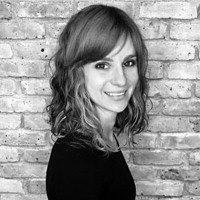 Maria Abramowicz is currently a Lead Graphic Designer and Brand Manager for a marketing firm in Denver. Although she now lives in the beautiful state of Colorado, she is originally from southern New Jersey. Besides design, her interests include competing in triathlons, the color orange, and being a dog mom to her Boston Terrier mix, Mr. Peepers. Eric Boelts is the current principal and owner of Brain Bolts and the past principal and co-founder of Boelts Bros. He has a BFA in graphic design and an MBA in entrepreneurship and marketing — both from the University of Arizona. Eric’s passion for teaching blended with his interest in the intersection of art and business in the world of design has led him to lecture at universities and colleges around the country. He has been fortunate to win awards in numerous design competitions throughout the world including the Czech Republic, Bolivia, Mexico, England, Canada, Russia, Poland and the USA. He runs long distances, paints with watercolor, is addicted to basketball and can both draw with a pencil and use a spreadsheet. Rachel Byland’s 20+ years of experience as a graphic designer has allowed her to perform in a variety of environments—from start-ups and small businesses, to Fortune 500's. 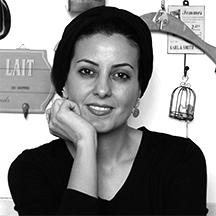 She believes strongly that good design has the potential to empower individuals, ideas, communities and cultures. Or, as IBM's Thomas J. Watson, Jr. simply put it, “Good design is good business.” When not sitting in front of her Mac, Rachel can be found volunteering in the design and education communities, or outdoors, chasing her next big adventure. Jemmy Chien has studied and worked as an artist, designer, and educator in the US for over 20 years. Since she was young, she has devoted herself to finding ways to utilize technology, design and entertainment for both self-expression and communication across all disciplines. Jemmy has a Master of Fine Arts degree as well as a Doctoral degree in Education, with an emphasis in digital media education and instructional design. Jemmy has taught design courses such as Advanced Typography, Graphic Design, Digital Design, Concept Design, User Experience Design, Motion Graphics, Animation and Advanced Photography at several colleges. She has also help to develop several New Media and Motion Graphics programs. Jemmy has received several design awards and exhibited her design work in the U.S. and Asia. She has spoken at several international conferences involved with design thinking, creativity, user experience design, and digital media curriculum for modern education. 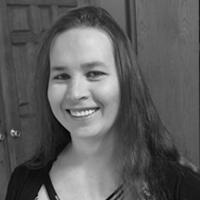 Pamela Fischer is a professional artist, animator and MLS carrying instructional librarian. She holds a degree in traditional animation from Pratt Institute, and has worked on shows like "The Wonder Pets" aired on Nick Jr. and on mobile games like "MinoMonsters". In addition, she is a Master of Library Science and has worked for both the New York Public Library as a Technical Assistant III and the Art Institute of California - Silicon Valley as their Library Director. 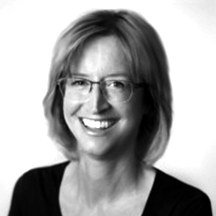 Prior to her time at Front Range Community College, Pamela was the Director of the School of Media Arts as well as an adjunct faculty member at the Art Institute of California - Silicon Valley where she taught a wide array of Media Arts, Graphic Design and Film classes. 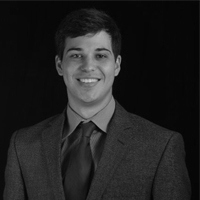 Austin Jones is an adjunct instructor teaching video production. He has been working full time as the co-founder of Ignite video productions for five years creating corporate videos, documentaries, and training tutorials. Kaitlin McCall is both a digital and traditional artist, with a BA in Media Arts and Animation from The Art Institute of Colorado, and an MFA in Visual Effects and Animation from the Academy of Art University in San Francisco. She has worked as a web and graphic artist for many different companies, including the Origins Games Expo. In addition to graphic art, she freelances as a 3D artist, creating models and animation for a variety of clients, including recent contract work for Microsoft. She also spends time in her studio doing traditional oil painting, drawing, and metal work. Prior to coming to Front Range, she taught a wide variety of art and computer-based courses and participated in curriculum development for other Denver-area colleges. Brooke McKaig is a native of Colorado, with twenty-two years in the Graphic Design industry as a freelance graphic designer and illustrator. 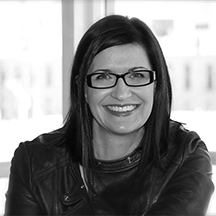 She has taught Graphic Design at Bollman tech for eighteen years and is very passionate about assisting design students in realizing their potential and expanding their creative skills. Ryan McNurney is a MGD Multimedia and Video Production Instructor and currently teaches concurrent enrollment courses for MGD at Bollman Technical Education Center. Ryan has worked in the film/video production industry for 15 years. Most of his career has been working in action sports. He also has experience in the documentary and music video realm. Ryan shares his excitement for the industry with his students. 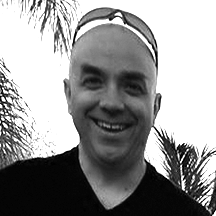 David Peters is a marketing professional with 15 years’ experience. He has held positions with advertising agencies and in-house marketing departments as a senior graphic designer, art director and distribution manager. He has worked on national accounts like Coca-Cola, Iron Mountain and Jackson, and led several creative projects for local brands in Colorado, Connecticut and Florida. 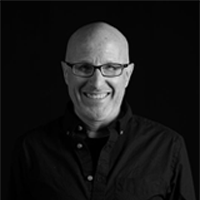 Prior to all this, David served as associate instructor of graphic design at Central Connecticut State University. He earned his MFA from the Savannah College of Art and Design. In his free time when he is not teaching, David enjoys being outdoors with his family, hiking, attending concerts at Red Rocks and tackling home improvement projects. 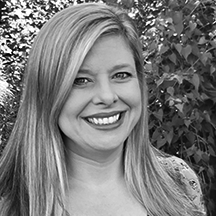 Lynnae Rome is a Colorado native who has been active in the Denver/Boulder music scene as an audio engineer, musician and music educator since the 1990s. She earned her MA in Recording Arts from the University of Colorado at Denver and gained her industry chops at Colorado Sound Studios. She has held a position as a guest artist in Stagecraft and Design at Denver School of the Arts. Lynnae is involved in several professional organizations, with leadership roles in the Audio Engineering Society Colorado Section and Soundgirls.org. She is also a member of Women’s Audio Mission, ARSC and ASCAP. She is an active music creator, writing and producing music for sync licensing with her production team. Dolly Rosenbrook is Program Director of the Westminster Campus, Multimedia Graphic Design (MGD) Department and Program Lead for all online MGD courses. She has a BA in Communication Arts from Lees McRae College, and an MFA in Graphic Design from the Savannah College of Art & Design. 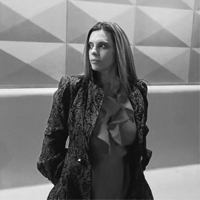 Dolly has industry experience as Art Director for a National Fine Clothier as well as freelance history with an array of companies. For over 10 years she has been teaching and developing curriculum in higher education. She has developed Digital Media and Graphic Design programs while teaching a variety of multimedia graphic design, graphic communications and computing in the arts courses at various institutions. 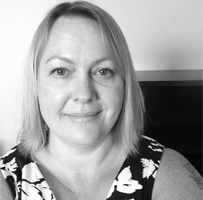 Passionate about online learning, she has been engaged for 10+ years in content development and instructional design & delivery via a variety of online content management systems. 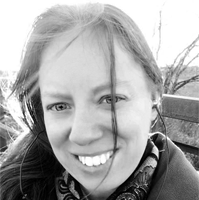 Laura Seward has taught digital art at Westminster High School since 2008, including Concurrent Enrollment classes through Front Range Community College, where high school students get free college credit! She is a digital art teacher, mother, wife, photographer, and artist. The order depends on the day, but always a Creative. Vince Sherry is a digital concept artist certified in ZBrush through Ryan Kingsliens exclusive certification program. His specialties are 3D modeling/sculpting and digital painting. Vince has been involved in digital art since 1995 when Fractal Design software released Painter 5. A year later he picked up Lightwave 3D v.6.0. 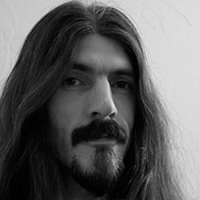 Vince teaches Storyboarding/Animatics and 3D Animation with Cinema 4D. He has had art shown in the Colorado Indian Art Market and the Harwood Museum in Taos, New Mexico. Some of his work involves producing 3D models, painted concept art, vector illustrations for health education companies and he enjoys wandering the southwest on photo safaris. Parisa Tashakori is a Visual Artist and Graphic Designer with a BA and MA in Graphic Design. She has collaborated as a designer and art director with several international advertising agencies and cultural institutions and now lives and works in Boulder, Colorado. Her work is focused in the field of social, environmental and cultural communication. Parisa’s work has been exhibited at over 80 international exhibitions in various countries including the COW! Festival in the Ukraine, the Ekoplagat in Slovakia, the Tehran Poster Biennial, and the Ukraine Eco Poster Triennial 4thBlock—among others, where she has received many awards. Parisa has also served as a lecturer and member of the jury for some significant international competitions and festivals like the 4thBlock in Ukraine, the Bolivia Poster Biennial in La Paz, the Lahti Poster Triennial in Finland, the MUT ZUR WUT competition in Germany, the Poster Biennial in Mexico, the PosterforTomorrow in Paris. 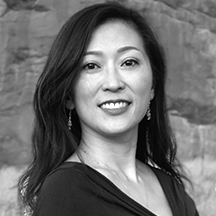 Prior to holding adjunct faculty positions in premiere Colleges in Denver, Maggie Xiong worked as a digital designer directly with the CEO and Founder to enable acquisitions by public companies of Cluster File Systems (the Lustre company, acquired by SUN) and ClusterStor (acquired by Xyratex). 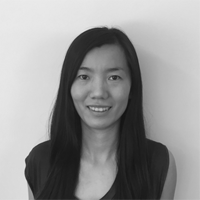 Also, she has worked in an advertising and creative design agency for several years in China before moving to the U.S. Maggie's professional focus has shifted from visual design to web and UI/UX design in the recent years. She believes that as designers, understanding both design aesthetics and technology will further enhance and strengthen capabilities in order to achieve effective communications. Maggie combines Western creativity and quality with Chinese work ethics.